What’s the worst thing about the F1 off-season? Is it the lack of racing? The boredom? The fact that we don’t have excuses to not go out at the weekend anymore? Or maybe it’s that it has become too easy to simply forget what day of the week it is. Thankfully, that’s no longer an issue. 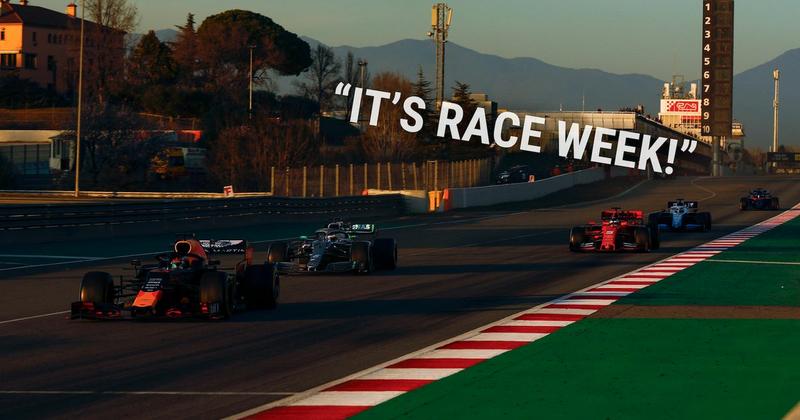 We know that today is a Monday because F1 social media has lit up to a chorus of the traditional Monday morning declaration: it’s race week. Phew, good job for all of those, otherwise we might have forgotten! In case you missed it, that message again: it’s race week. And we’re starting to get excited.